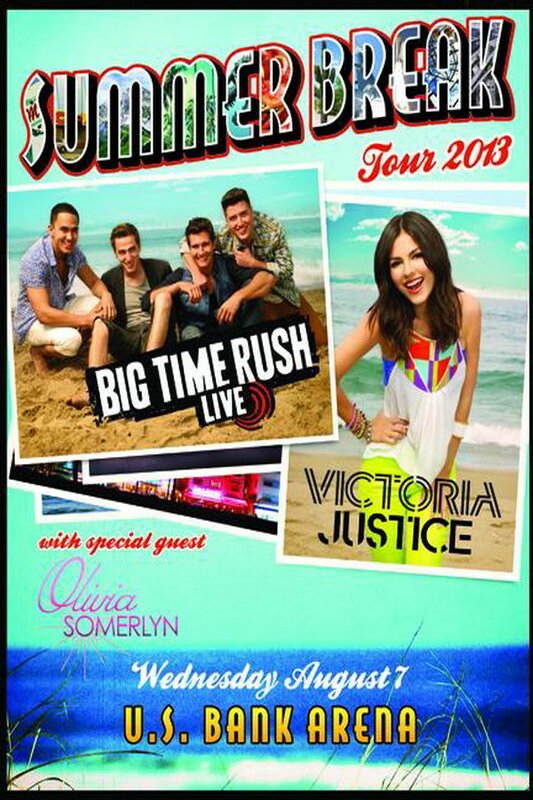 Summer Break Tour font here refers to the font used in the promotional poster of Summer Break Tour, which was the co-headlining tour by American boy band Big Time Rush and American pop singer Victoria Justice. For the “Summer Break” part, it is probably set in Bodega Sans Black Oldstyle designed by Greg Thompson, and for the calligraphic “tour 2013”, it is probably set in Ballpark Weiner designed by Mickey Rossi. The font is available for free and you can download it for free here. If you do not want to download and install the font but just like to create simple text or logos using Summer Break Tour Font, just use the text generator below. The following tool will convert your entered text into images using Summer Break Tour Font, and then you can right-click on the image to save it or click on the "EMBED" button to get links to embed images on the web.